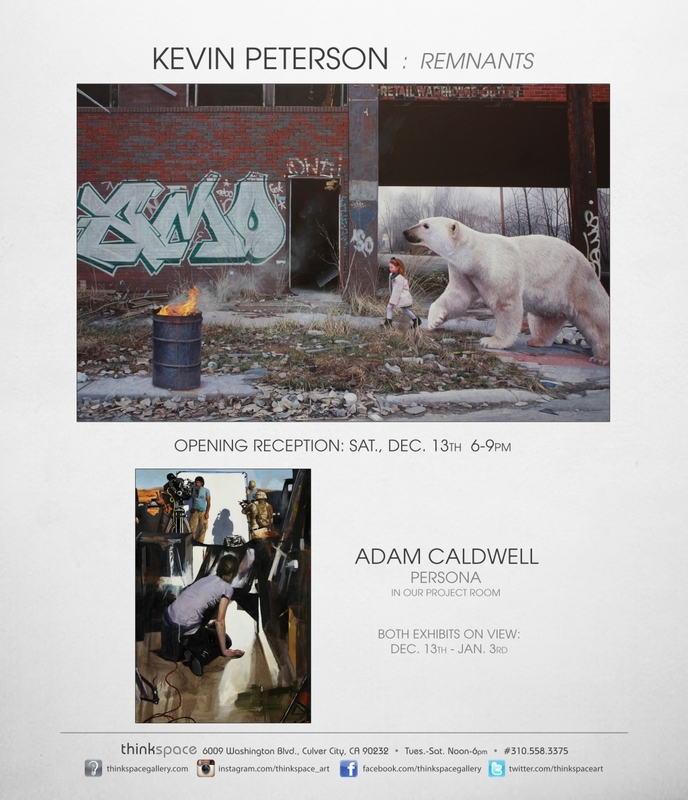 Thinkspace (Los Angeles) – is pleased to present Remnants, featuring new works by Houston based artist Kevin Peterson. 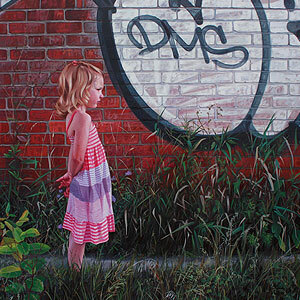 An accomplished hyperrealist painter, Peterson captures the intimacy of highly detailed portraits set against the anonymous urban sprawl of the cityscape. With an attentive psychological subtlety, he creates works that are emotive, introspective, and haunted by the suggestion of narrative. The contradictory pairings in Peterson’s paintings are deliberately staged, heightening a sense of irresolution and poetic tension. He often portrays children and wildlife in gritty urban graffiti marked spaces; antithetic pairings that deepen our sense of the subjects’ dislocation. Despite this cultivated uneasiness a quiet optimism prevails in Peterson’s imagery, as his portrayals of the displaced, faced with imperfect or degraded urban environments, retain their innocence in spite of their worn surroundings. Suggesting both survival and the triumph of the individual’s strength, his works are empathetic portrayals of the meek. As the title of the exhibition suggests, Peterson offers us glimpses into the aftermath and detritus of unknown trials and tribulations. Peterson completed a BFA at Austin College in Sherman TX, in conjunction with a psychology degree. His highly detailed paintings are primarily oil on panel, though at times the artist incorporates mixed media elements as well. A sense of solitude permeates his works, as the protagonists are generally isolated and seemingly suspended in a dream-like state, highlighted by the marked absence of others. Innocence coexists with wear and urban exhaustion in these paintings, a connotation of use the artist builds through beautifully rendered graffiti elements and stark urban architectures. The presence of a displaced nature, often in the form of wild itinerant bears or hyenas, is an equally erroneous element staged within abandoned industrial spaces and debris. Each opposing element works as a foil to its polarity: the wild vs. the urban, innocence vs. degradation, sadness vs. hope, effectively capturing a sense of the psychological conflict, and human struggle, inherent in the existential journey. Remnants is Peterson’s second solo exhibition with the gallery. With a firm poetic allegiance to the underdog, the artist continues to find beauty in tension and opposition, uncovering redemptive possibilities in the face of restriction, assumption and boundary.